Our Club held a Grand Draw between October 2018 and March 2019 to raise funds for the Lincs & Notts Air Ambulance, our sponsored charity. After rallying around other clubs, large companies both national and local, attractions, businesses, families, friends and of course our Club members, we got an amazing response and had 114 prizes very kindly donated. To help with the costs to ensure all money collected goes to the charity, the tickets and Lottery License was kindly sponsored by Paul Riddle Skips Ltd, Horncastle, Lincolnshire. In the planning of the draw it was seen that the logistics of getting all the prizes out to their respective winners would or could become expensive and would eat into the proceeds. 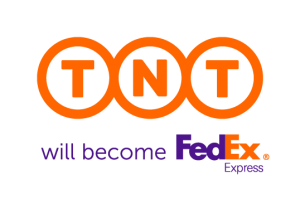 This is where TNT, who will become FedEx Express stepped in and very kindly offered to deliver up to 50 prizes to the winners for free as a donation towards the good cause. Nelton Exhibitions kindly offered us Stand 18 at the Midlands Woodworking and Power Tool Show on the Newark Showground held on 22 – 23 March 2019. They also made the Lincs & Notts Air Ambulance the charity for the show which gave the charity some good publicity and enabled a big advert in the show guide. All the prizes were displayed for the 1000s of visitors to the see and to tempt them to buy the tickets that were on sale for £1 each or £5 a book of 5. The prizes had all been given a number when they were first donated, so all 114 numbers were entered into a random number generator to produce the winning prize order. This would enable the draw to be carried out quite quickly and prizes allocated. We welcomed 5 members of the Lincs & Notts Air Ambulance over the two days who kindly came along to help on the Stand and to go around the show trying to sell more tickets. After a very busy couple of days and having sold loads of tickets we held the draw at 2:30pm on the Sat 23rd March 2019. We were pleased to invite Tony from Nelton to draw the first ticket along with Record Power, Terry from Chestnut Products, David Lowe to name just a few. We soon had our 114 winning tickets, plus we drew 10 reserves should we have problems contacting any of the main winners. After a busy couple of days, all the winners were contacted by text or phone to arrange delivery or collection. We did have a few winners that unfortunately were not able to be contacted due to providing incorrect numbers, which despite trying various combinations, we were left with having to use some of the reserve winners. Following the Club night on the 26 Mar 19, the majority of the prizes were distributed to members who were able to deliver personally, drop off with other Clubs, sent by post. This left 22 prizes that were going to require the services of TNT to deliver. Mick and Martin had the job of packaging them all up so they would arrive safely with winners. A photo opportunity will be taking soon with TNT and later with the Air Ambulance to present a cheque for a grand sum of £4000. Thank you to everyone who has helped, donated and purchased the tickets, making this our best ever fundraising event. Promoter: Mr J Mitchell – Club Treasurer. Registered under the Gambling Act 2005 with East Lindsey District Council. Download the final prize list as a PDF HERE.